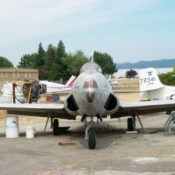 D-21 Drone on the field at the Pacific Coast Air Museum. 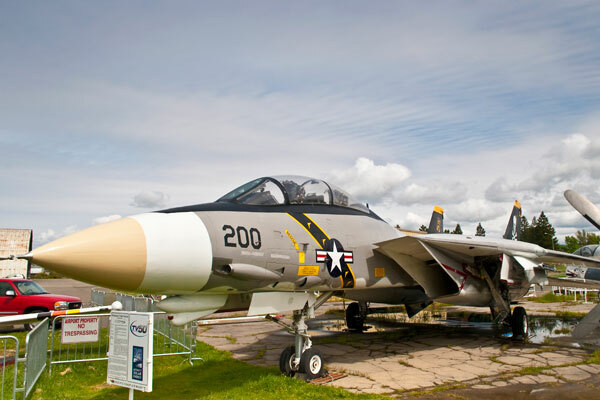 Once a highly classified strategic reconnaissance project, the D-21 Drone project was known to only a comparative few within the military during the 1960s. 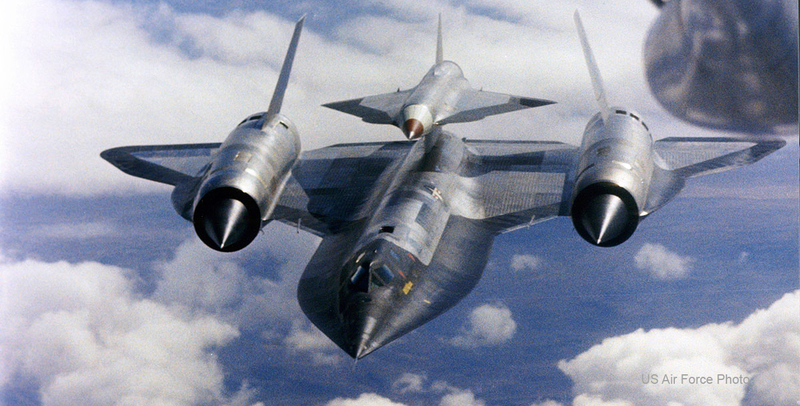 The D-21 was designed to fly in excess of Mach 3. 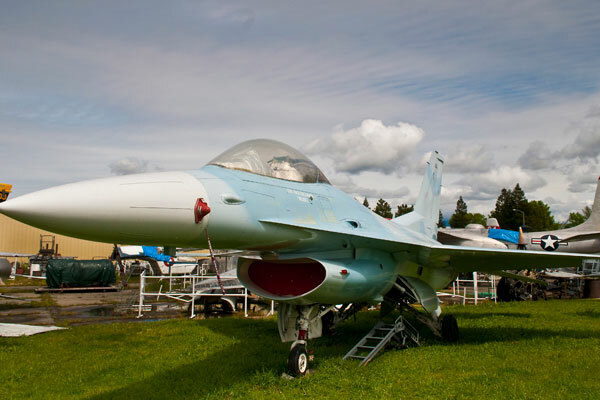 It was to penetrate enemy airspace, take a series of photographs, then return to friendly airspace and jettison its payload of film. The Drone would then self-destruct. 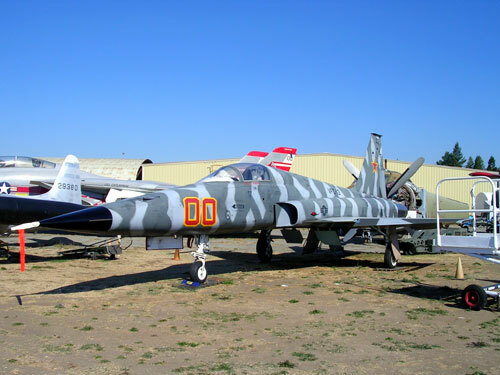 The D-21 was intended to be carried near its target on the back of an M-21 mother ship. 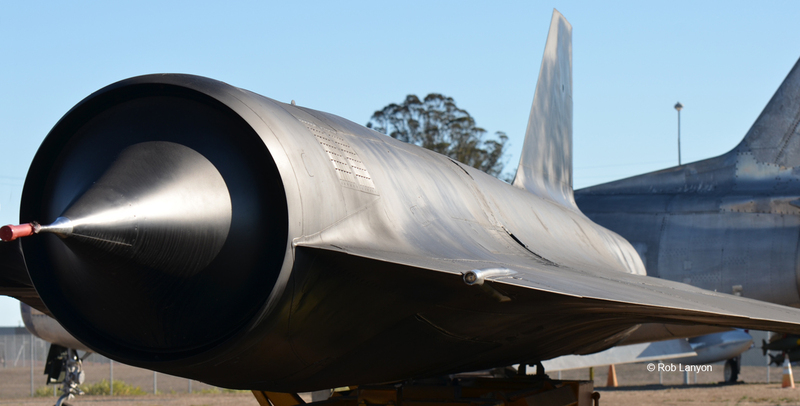 The M-21 was a development of the A-12, which was the forerunner of the SR-71 Blackbird. 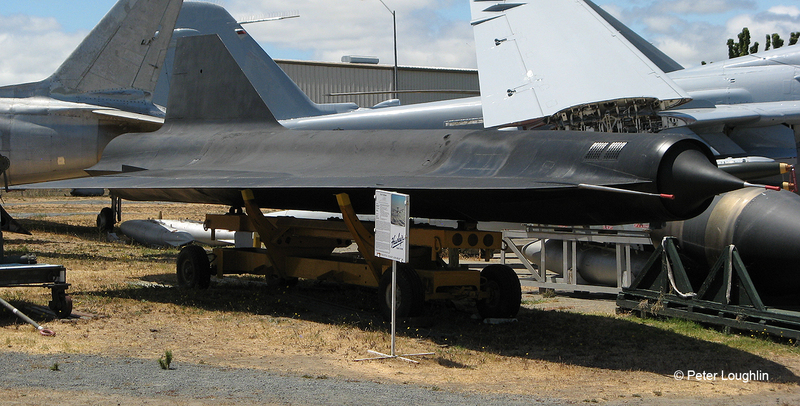 The M-21 mother ship was a modified A-12 spy plane, the forerunner of the SR-71 Blackbird. 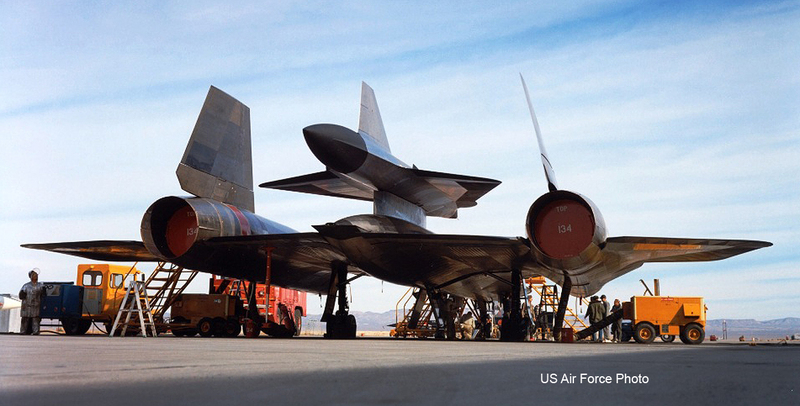 This arrangement, where the D-21 is carried on the M-21's back, was a failure. 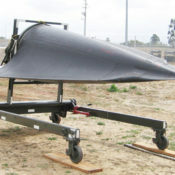 The drones could not be released safely at operational speeds, and one test ended in the destruction of both aircraft and the death of one of the A-12 crew. 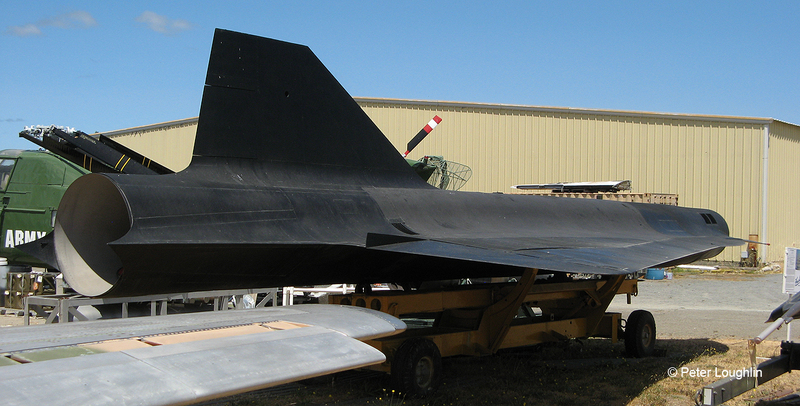 Another shot of the D-21 on the back of the M-21 mother ship. After this arrangement was proven to be unsafe, the drones were redesigned to be carried under the wings of specially equipped B-52s. 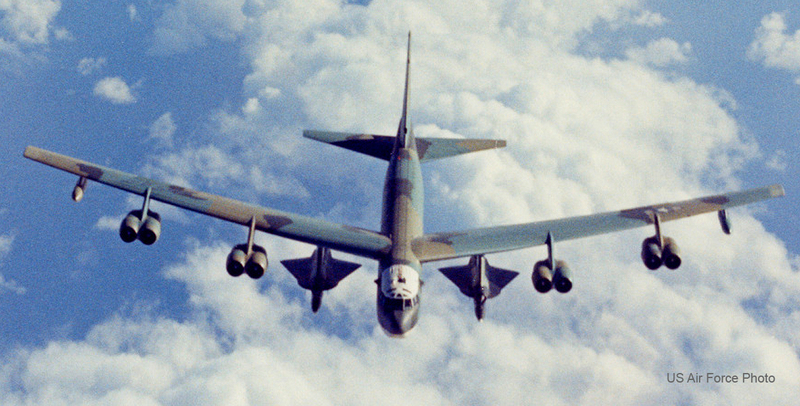 Several operational D-21 missions were conducted, with the drones being dropped from B-52 bombers. The drones penetrated Chinese airspace to capture images of their Lop Nor nuclear test site. The program was only partially successful and was suspended. 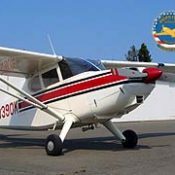 In all, 38 D-21 Drones were built and 17 still exist.